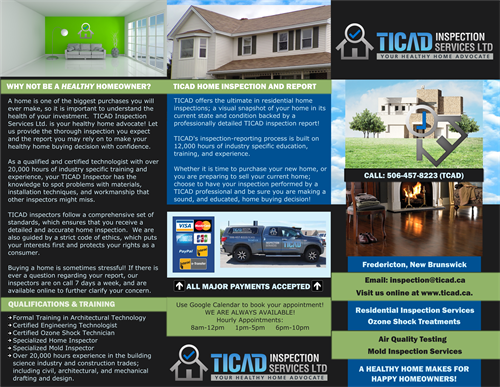 TICAD Inspection Services Ltd. provides residential home inspection services for single-detached homes and multi-unit dwellings having up to four separate units. 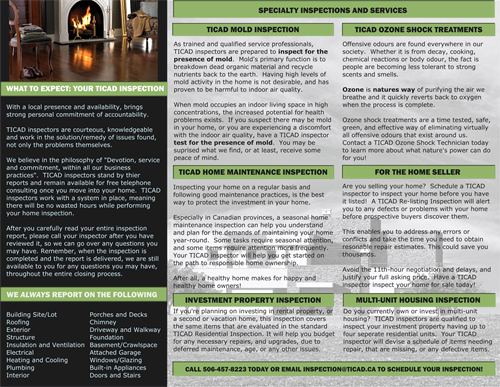 Our inspectors are highly trained and are qualified to inspect your duplex, condominium, semi-detached home, or townhome. 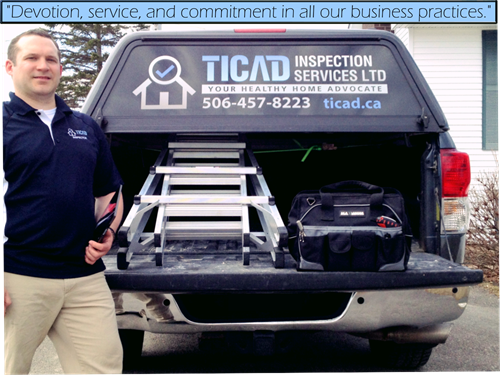 We are 100% locally owned and operated and are Certified through CanNachi, the Canadian National Association of Certified Home Inspectors, and we offer the ultimate residential home inspection service to the people of Fredericton NB and its surrounding communities! 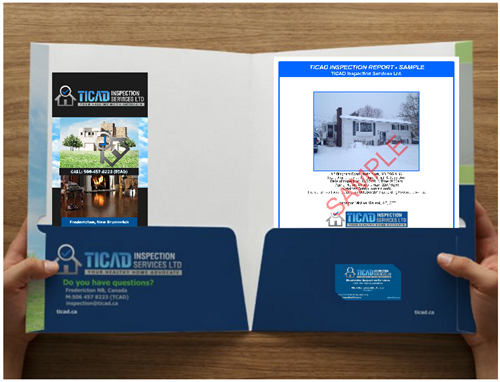 TICAD inspectors follow a comprehensive set of standards that have been designed to ensure you receive a detailed and accurate home inspection. We are also guided by a strict Inspection Code of Ethics which puts your interests first and protects your rights as a consumer. As a member of CanNachi, the CFIB, and the Fredericton Chamber of Commerce, we are proud to be a part of the thriving business community here in Fredericton NB. We believe in the philosophy of "Devotion, service, and commitment, in all our business practices", and we excel at providing a timely service that is not only reliable but above all else, accurate! 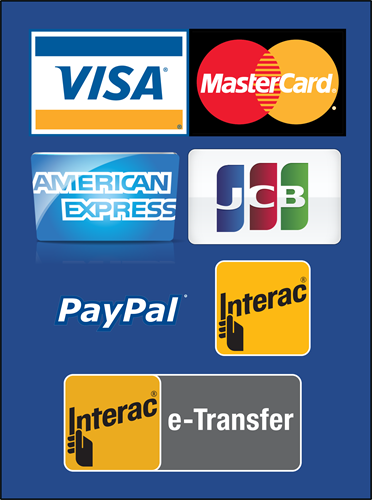 We look forward to serving your needs in the future! 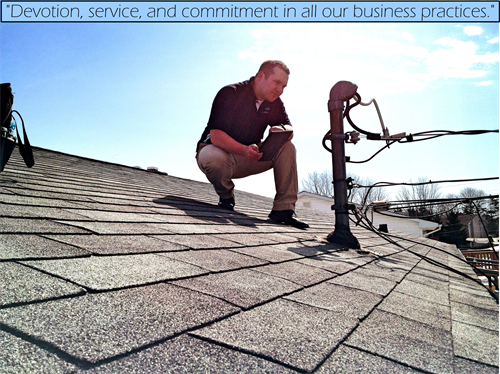 Chamber members receive 10% discount on the cost of your Residential or Multi-unit (up to 4 units) Inspection.